Cem Bey was one of the language instructors in Austin the summer of 1967 for T-15's and 1968 for T-16's. Photo from director at Bosphorus University (formerly Robert College) where Cem Bey has been Dean of the School of Education. 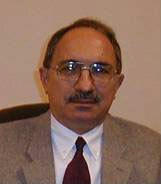 Cem Alptekin (1942-2014), who served Boğaziçi University as the Dean of the Faculty of Education (1993-2005), Head of the Department of Foreign Language Education (1990-1993, 2005-2006), and a full time professor in the Department of Foreign Language Education (1986-2013) passed away on April 24, 2014 in Istanbul, Turkey. During his academic career, he made irreplaceable contributions to the establishment of the field of Applied Linguistics in Turkey. He has been an inspirational leader for many academics in Turkey. He also contributed to the field of Applied Linguistics by bringing up academic discussions on the up-to-date issues in the field. He has published internationally in numerous journals, including the TESOL Quarterly, The Canadian Modern Language Review, Second Language Research, Journal of Multilingual and Multicultural Development, International Journal of Applied Linguistics, Journal of Research in Reading, System, the ELT Journal, the Australian Review of Applied Linguistics, and Applied Psycholinguistics. In addition, he published several articles in edited collections published by Oxford University Press, Canadian Modern Language Review Press, University Press Pecs, Maastricht University Press, and Lincom. His current research interests involved the effects of long-term memory and working memory on second-language reading comprehension; the interactions among eye movements, working memory processes and second-language reading comprehension; and the conceptualization of bilingual and multicultural competence in the context of English as a lingua franca. He will be missed by all who enjoyed his brave, inspiring, thought provoking and warm presence.